Celebrate your special day with friends and family by playing any game from our ever-growing library. From the Atari to the Nintendo Switch, enjoy switching out as many games as you want! 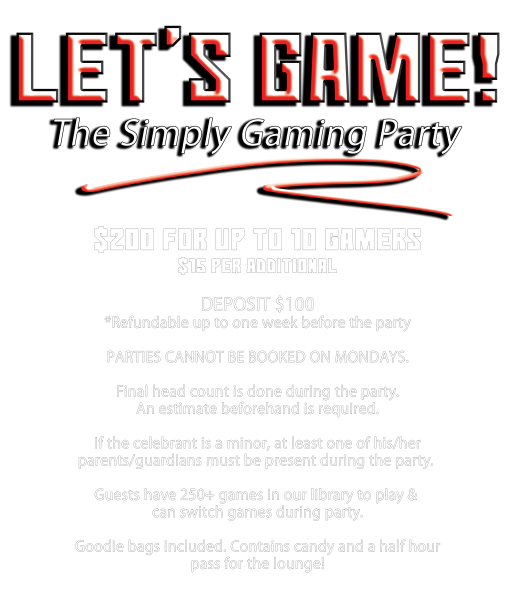 We offer two party packages: the Let's Game! Party and the Deluxe Party. We also have optional upgrades for a big birthday blowout! 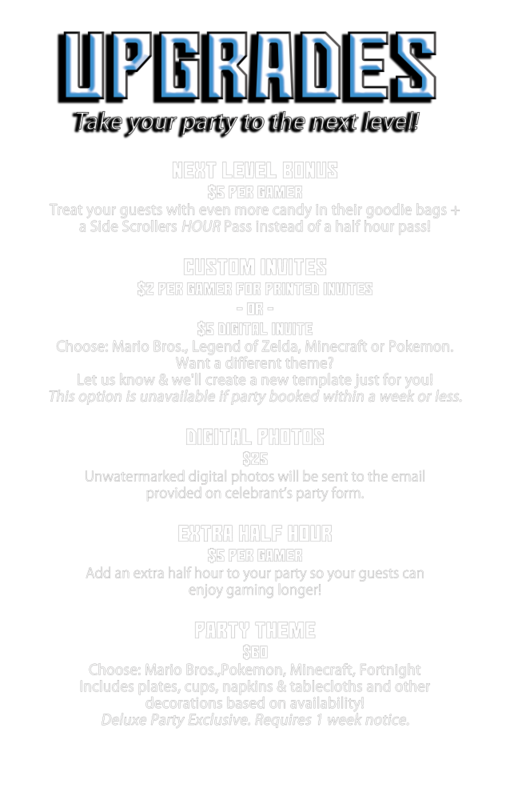 PLEASE NOTE: Birthday celebrant & all gamers must be at least six-years-old to play in our game lounge. 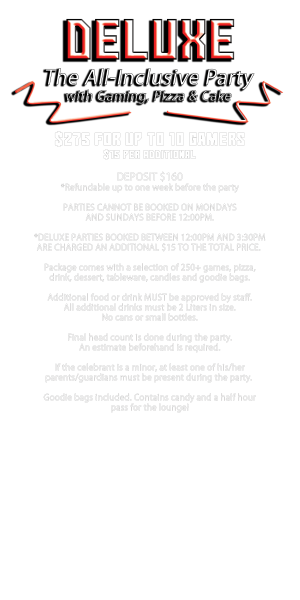 We are normally closed Mondays and Tuesdays, but if you need to book a party on either day, there is an additional $150 fee. Click on packages to view full details.